There’s an old adage that says, ‘Those who don’t learn from history are doomed to repeat it.’ That must be a stateside saying because Tatsuya Kawajiri appears to have never of heard it before. Although the cage has become a fixture in American MMA, the Japanese star refused to incorporate it into his training as he prepared for Saturday’s showdown with Strikeforce lightweight champ Gilbert Melendez. “I have been training as usual, with no specific training geared toward fighting in the cage,” Kawajiri said during a recent conference call. Shinya Aoki also claimed he wasn’t concerned about fighting with a fence before dropping a lopsided unanimous decision to Melendez last April. After getting thoroughly humbled, the Dream lightweight champ admitted there was a significant difference with “American MMA” because fighters can be more relentless with their takedown attempts. In Japan, mixed martial arts fights primarily take place inside of a ring. Wrestlers need to be a little more strategic with their shots since both fighters run the risk of falling through the ropes. 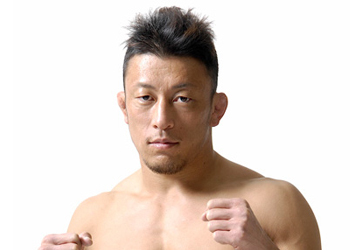 While he didn’t learn from Aoki’s mistake, Kawajiri did take extensive notes from his own 2006 unanimous decision loss to “El Nino.” Now that the Strikeforce crown is on the line, “Crusher” feels it’s the perfect time to showcase his refined game. “Strikeforce: Diaz vs. Daley” takes place this Saturday inside the Valley View Casino in San Diego, California. Showtime will broadcast the show at 11PM ET/PM.